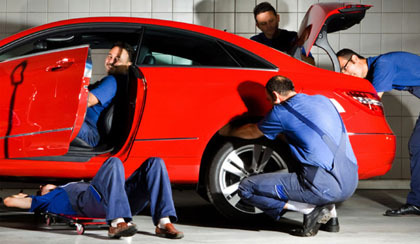 According to recent studies, 5% of all motor vehicle fatalities are clearly caused by automobile maintenance neglect. The following simple and inexpensive preventive checks will greatly extend the life of the vehicle, ensure safer operation and even benefit the environment. Check tyre inflation. Under-inflated tyres can result in a loss of fuel efficiency. This is the least expensive form of preventive and safety maintenance. Tyres should be checked once a month. Keep your engine tuned. A fouled spark plug or plugged/restricted fuel injector can reduce fuel efficiency by as much as 30 %.